The second of three high based funnel clouds which formed during the early evening over S. Omagh on May 28th 2013 during one of my longest storm chases to date, I had been chasing in Co. Fermanagh, got a big funnel there, then returned N into Omagh where I saw yet more funnel clouds. 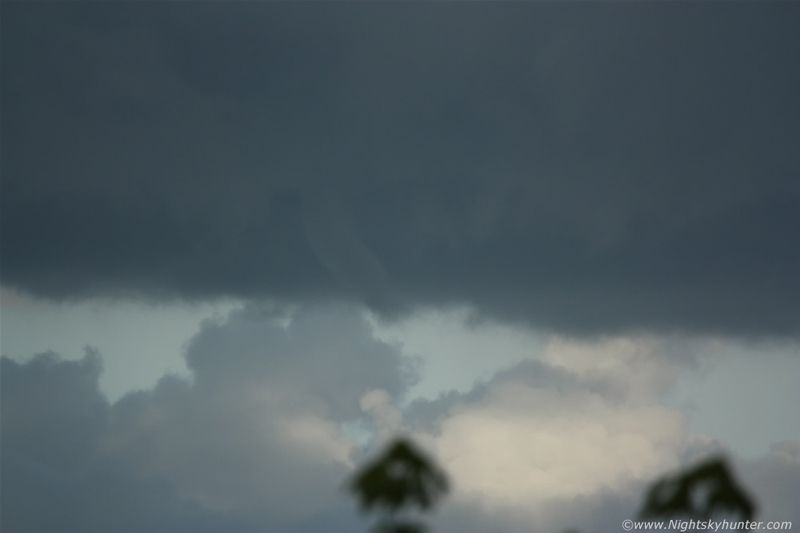 This funnel was seen in poor contrast, black funnel against black clouds, however despite this it was a very obvious solid tube rotating below a line of convection, you can see the tops of distant towers below the funnel, read the report for more information. * All images are available for sale in the form of photo prints, canvas or digital files for licensing, if you are interested in a purchase simply drop me an email.